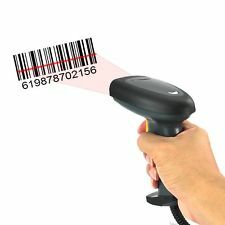 When you scan a barcode, the scanner sends the barcode characters to the connected computer or device as if they were typed in with the keyboard. The scanner can be wired (e.g. usb) or wireless (e.g. bluetooth). Using a scanner ensures accuracy when opening and processing records. To look up an asset or personnel record in the database, simply open Asset Manager, and then scan the barcode. Asset Manager will then search the Asset and Personnel records to locate the item, and then navigate to that page automatically. On the Dashboard, click the "Check Out" button. Scan the personnel badge for the new Custodian, or select their name from the drop-down list. Scan the barcode of each item to check out. Each item will be added to the check out list. Click the Check Out button to complete the check out. Another way to check out an asset is to scan the barcode to navigate to the Asset page, and then click the Check Out button on the asset page. You can then scan or select the new Custodian, and complete the check out.